There is nothing quite like relying on nature to provide us with nourishment and sustenance – after all, that has been the way for far too long, and even until now, mankind continues to take what is free and turn it into a profit-making enterprise. Well, you might want to do your bit to help ease the consumption of power from the grid by relying on the power of the sun, using the £49.99 Port Solar Charger in your household, charging up those energy thirsty devices while you are on the move. 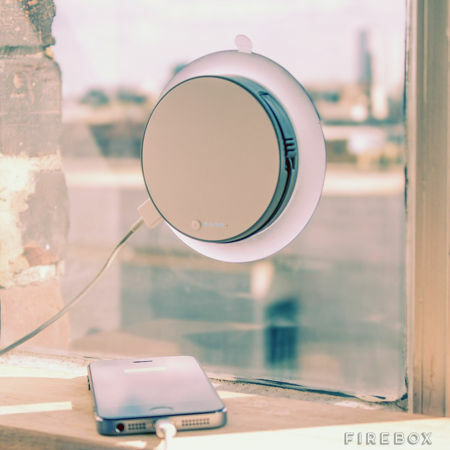 For instance, there is an integrated suction cup that allows you to stick it to any window, and it will connect to any other compatible device thanks to an integrated USB port. The Port Solar Charger is extremely light in nature and would be able to fit into just about any pocket easily, making this the ideal device to carry around on your travels. The Port Solar Charger comes with a 1,000 mAh battery that delivers an additional 65% charge to mobiles. If you’re going to travel outdoors this coming summer for long periods of time, I would like to think that the Port Solar Charger is an indispensable piece of equipment to own.